Osamu Kunii co-founded international NGO called AMDA and joined medical relief in Somalia, Cambodia and other countries in an emergency. He also engaged through Japanese government in the emergency response to the hostage-taking at the Japanese Ambassador’s residence in Peru, the recovery for post-war Afghanistan and Iraq, the fact-findings of Ebola outbreaks in Africa, and other global health projects and studies. 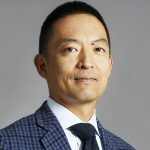 Since 2000, he served for global health research and education as Assistant Professor in the University of Tokyo and the Professor in the Nagasaki University and engaged in global health policy as Assistant Director in the Ministry of Foreign Affairs of Japan. Moving to UNICEF, he served for child survival in New York Headquarter, Myanmar and Somalia. Currently, he works for the fight against HIV, tuberculosis, and malaria, which still kill annually three millions of lives in the world.